What do the biomedical sector and The Lord of the Rings have in common? Courage and a common goal are some of the traits shared by the main characters in this film saga, as well as by researchers, entrepreneurs, investors and other stakeholders who are helping make the BioRegion of Catalonia a benchmark in Europe. “Certainty of death, small chance of success... What are we waiting for?” This famous quote is from a character in The Lord of the Rings saga. But it could be straight from one of the researchers, entrepreneurs, investors or institutions working every day in the BioRegion of Catalonia: the Catalan healthcare and life sciences sector. They know their job is risky, but the goal (curing or making people healthier) is important enough for them to set off down this road towards users and patients, even passing through Mordor if necessary. Talent, industry, technology, public support and investors are just some of the elements behind the growth and success of the biotechnology and medical technology sector in Catalonia. The recipe, however, includes two more ingredients that the main characters in Tolkien’s saga are also very familiar with: courage (or thoughtless recklessness, depending on how you look at it) and the sense of a common goal. Courage? Yes: researchers who “roll the dice” and leave academic life, totally or partially, to start up biotechnology companies based on the science they have developed over the past years. Each week in Catalonia, one new company is created in the sector, which already has more than 1,000 companies employing nearly 58,000 workers and posting turnover of €17.8 billion. One in five companies created since 2005 was a spin-off of a research institution. The courage, too, of the local investors whose hands don’t shake when signing million-euro investments in projects with high-risk technology. Remember that biology and medicine are unpredictable: we all know that something that seems to cure a disease in mice can later fail (and tends to fail) when we do studies with people. Plus, these investors are courageous enough to convince their foreign colleagues that Catalan science is world-class, and that there is no reason to believe that the cancer or Alzheimer drugs of the future won’t be made in Catalonia. 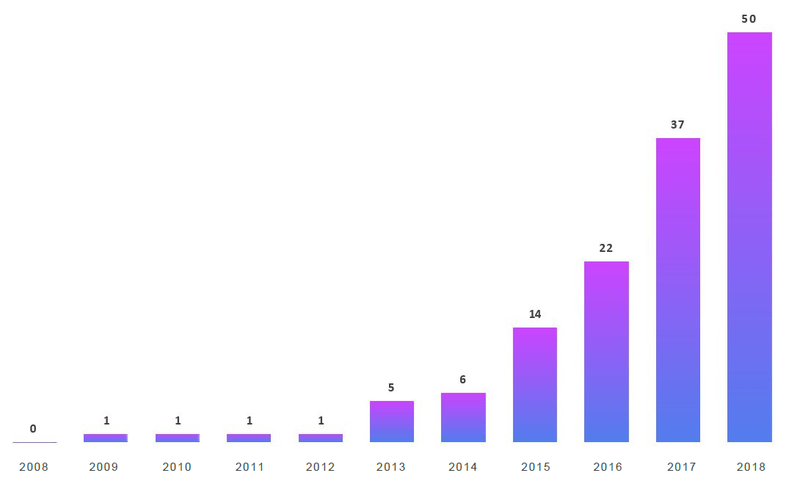 And they’re doing it: in 10 years, the number of foreign investors in Catalan start-ups in the healthcare and life sciences has gone from 0 to 50. Over the past five years alone, the figure has increased tenfold. We also recognize the courage of a Catalan public administration that has been committed to scientific excellence for years now, rooted in the slogan “people, not projects”, and has taken risks to attract top researchers from around the world despite the protests of traditional research systems. And, of course, the courage of the entrepreneurs and executives who take the reins of these small companies, which are often no more than a vague idea written on half a sheet of paper and, as in the film saga, manage to align disparate wishes and spearhead an uncertain adventure, with limited resources and many dangers, to bring a scientific discovery from the fuzzy academic theory to real application in a hospital or patient’s home. “All we have to decide is what to do with the time that is given to us,” they say to the main character in The Lord of the Rings. Luckily, what all of these stakeholders have decided to do with their (our) time has a common goal: to make people healthier through innovation, a message that can be shared by all interests and ideologies. The hurdles involved in this mission make it comparable, as we’ve said, to the road to Mordor. But our courageous protagonists have already made huge inroads: there are currently 18 drugs being developed by Catalan companies, a significant increase from the 7 that were in the pipeline in 2013. Three of these molecules are already in phase II/III trials. This shows the BioRegion is progressing at a steady pace from a top-notch scientific system to a business panorama that will begin clinical development of therapies. The next obvious step is for these drugs to move into the final phase of clinical development and reach the market in the coming years. Regarding medical, diagnostic and other health technology devices, the market is progressing at the same pace. This adventure would be impossible without funding. Since the beginning of the financial crisis in 2008, investment in companies in the healthcare and life sciences sector in Catalonia has increased twelve-fold. Specifically, between 2015 and 2017, start-ups in the BioRegion attracted nearly €340 million in investment, nearly triple that of the previous two years (2013-2015). And provisional data for 2018 puts the figure at roughly €116 million, even higher than 2017. Specialized investors in the BioRegion of Catalonia: Who's who? Who said innovation was the problem?